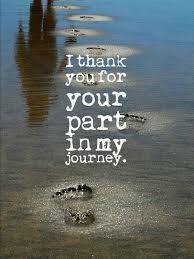 Thank you to you for being a part of my journey. For each of you who know me, who have met me and have come to Annanda, thank you for blessing me with the presence of your energy. For those of you who have yet to meet me or come to Annanda, thank you for blessing me with your energies through my website. Every Soul which crosses our path in whatever way is a part of our journey. No matter how big or small their part is in our life, be thankful for everyone. There are Souls who’s mission in our life is to challenge us, there are Souls who’s purpose in our life is to play the part of an Angel, be thankful for everyone, for each person in our life is helping us to grow and evolve.